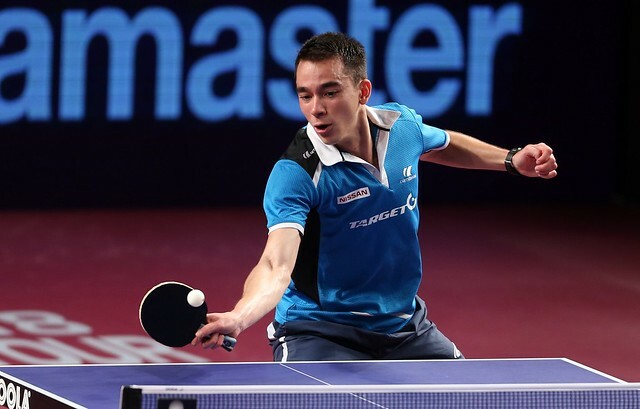 There's plenty of exciting table tennis coming your way on the second day of qualifying ahead of the Seamaster 2018 ITTF World Tour Platinum Qatar Open as the race to reach the main event heats up in Doha on Wednesday 7th March. The battle to reach top spot in Group 8 of the Women’s Singles group stage will see a European star fall at the first hurdle with Portugal’s Fu Yu and Turkey’s Hu Melek fighting it out for a place in the main draw. Both players last met on the international stage in the Women’s Singles final at the 2016 European Championships; Hu Melek prevailed on that occasion across five games to lift the trophy in Budapest. Will Fu Yu avenge that defeat in Doha and eliminate Hu Melek from the competition? Group 18 is too close to call heading into the final day of qualifying; just the one group match remains with Bernadette Szocs and Yu Mengyu going head-to-head for the chance to advance beyond the group stage. Over in Group 17 either one of Sun Yingsha or Ni Xialian will suffer an early exit while the other will progress. Quadri Aruna and Wang Yang are just a single victory away from reaching the second preliminary qualifying round, but with the two players facing each other for first place in Group 4 only one can achieve that goal. Their previous encounter came at the 2016 Olympic Games in Rio de Janeiro where Quadri Aruna overcame the Slovakian in the Round of 64 and the Nigerian will fancy his chances of earning another victory in Doha. Two young stars will do battle in Group 22 as Kazakhstan’s Kirill Gerassimenko and Japan’s Yuto Kizukuri fight it out with a place in the next round on the line. Both players have made significant progress over the past year, but who will have the upper hand when they meet on day two of the qualification event? Elsewhere, Kou Lei will look to guarantee his safe passage beyond the group stage when the Ukraine representative takes on Hungary’s Tamas Lakatos while 2015 World Championship silver medallist Fang Bo faces one of the stars of last year’s World Championships Lubomir Pistej. Players finishing in first places in Men’s Singles groups no.31 to no.34 will compete in the first preliminary round; the two winners advance to preliminary round two where they are joined by the players who finished in first places in groups no.1 to no.30. In the Women’s Singles event, players finishing in first places in group no.1 to no.11 advance directly to the main draw; first places in groups no.12 to no.21 must compete in a preliminary round. The first gold medal match to be played in Doha is the Under 21 Women’s Singles, scheduled to get underway at 20.30pm (local time) with the Under 21 Men’s Singles title also being contested on the second day of play in Qatar.